Need ideas for a Saskatchewan vacation? From the rolling hills, seas of waving grass, and mysterious badlands of Grasslands National Park to the history, architecture, culture and natural beauty of Saskatoon to the bountiful fishing, and recreational activities of her Provincial Parks, Saskatchewan offer fascinating weekend getaways under its living skies. Nothing gets you closer to the authentic Saskatchewan experience than Grasslands National Park. With rolling hills, seas of waving grass, endless prairie, mysterious badlands, and a unique history, Grasslands will take you back to a time of untouched lands. The oTENTik campsites are sure to please all those who like to camp out but also like the comfort of a bed and more modern amenities. The park offers amazing hiking for all those who aren’t afraid of a challenge. Dinosaurs once roamed the very lands you’ll be traversing. Of course Grasslands offers all the activities that any outdoor enthusiast loves. Kayaking, canoeing, biking, horseback riding and lookout areas all make the park a beautiful destination. There are two visitor centers, one in East and one in the West block so you can learn more before you go. Grasslands National Park is also a Dark Sky Preserve and the stargazing is truly out of this world! Known as the City of Bridges, Saskatoon never fails to delight with its mix of history, architecture, culture and natural beauty. Amble down the Meewasin trail, beautiful in any season and take in the beauty of the South Saskatchewan River and the wonders of the many different bridges. Broadway Ave, might be one of the province’s best arts and cultural scenes. You’ll always be able to find live music at the many different pubs and clubs. Broadway is also home to different theatres, antique stores, boutiques, independent businesses and amazing pubs and restaurants. Exciting and diverse events and programs are available throughout the year. Downtown Saskatoon is a gem in itself, boasting amazing shopping on 2nd Ave and many different restaurants and pubs offering unique fare. During the summer the Shakespeare on the Saskatchewan and Jazz Festivals can’t be missed. If you’re coming in the winter, be sure to grab your skates and head on down to the outdoor rink beside the Delta Bessborough. If you go at night it couldn’t be a more romantic setting with lights overhead. Saskatoon is also well known for its horse racing at Marquis Downs, the Forestry Farm, Wanusekwin Heritage Park, the Western Development Museum and the Saskatoon Ex. Spanning the South West corner of Saskatchewan, this amazing park has delighted people of all ages for decades. Nature enthusiasts will love the variety of outdoor activities. Kayak or canoe the beautiful lakes. Fish for a trophy size trout or the elusive Artic Grayling (and a ton of other species), explore the many hiking or biking trails or try ziplining. The park offers many different types of campsites including RV sites or tenting or for a truly unique experience try the Equestrian Camping. If you don’t have a camper and a tent isn’t your idea of a good time, you’re in luck. Cypress Hills is home to some of the most unique ranches in the country! The Historic Reesor Ranch offers cabins in any season. For the horse lovers out there, the Cypress Hills Riding Academy offers guided tours and lessons and there are many trails for horseback riding throughout the park. Cypress Hills is also a great place for sightseeing, swimming or relaxing on the beach. The Fort Walsh National Historic Site is a must visit. With over 3800km of protected parkland, the Prince Albert National Park is a destination that will keep surprising you year after year. The park offers year round activities that are any nature lover’s dream. Get out and hike the many exciting trails in the summer or cross country ski or snow shoe in the winter. Cycling, canoeing, kayaking, boating, fishing, swimming, golfing and the many other activities the park offers will be sure to keep you busy. The camp grounds are world class. Prince Albert National Park is perhaps best known for Waskesiu. The little resort style town has cabins for rent, beautiful, pristine lakes with sandy beaches and shopping and dining options that are sure to please. Elk Ridge Resort is a popular destination all year round. Other attractions at the park include Grey Owl’s cabin, which you can access by canoe/portage. 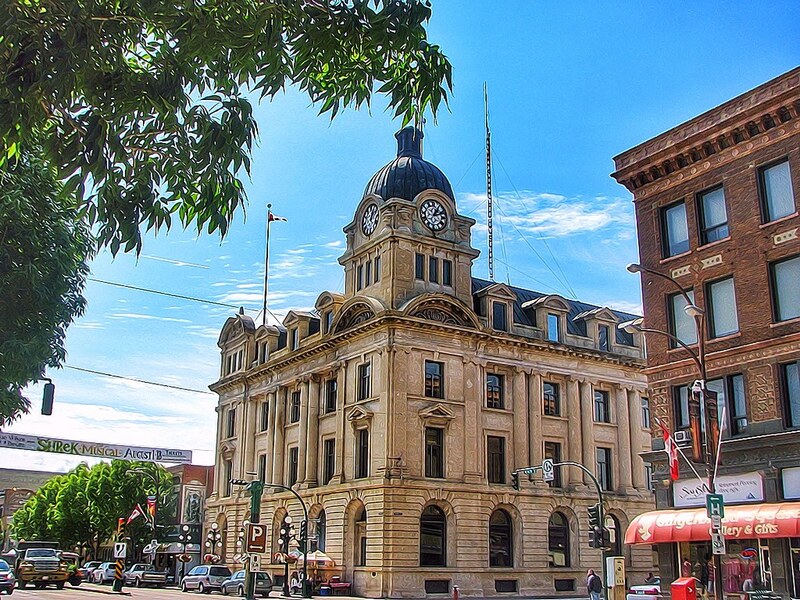 For a small city nestled in the heart of the prairies, Moose Jaw offers an unexpected amount of exciting attractions, history and art. The city is home to some of the province’s best artists. The Yvette Moore Gallery is a must see and several other artists like Laura Hamilton, have galleries that are open to the public. The city is home to some pretty incredibly murals interspersed throughout. You can spend an entire day just driving around finding them all. The history of Moose Jaw is quite unique. Anyone who tours through the incredible underground tunnels will get just a taste of a fascinating world. Stroll down the main street for some incredible boutique shopping and great eats. The Western Development Museum is always a must see, and just outside Moose Jaw, the Sukanen Ship Pioneer Village and Museum is a very interesting stop. Jump on a real street car and learn more about the City’s history on a tour with the Moose Jaw Trolley Company. No visit would be complete without a picture taken with Mac the Moose, a trip to see the burrowing owls, or a day spend relaxing at Temple Gardens, the incredible spa. Brimming with exciting entertainment, beautiful architecture and a vibrant cultural scene, Regina is the perfect city to spend days exploring. Open year round, the floral conservatory will amaze you with the wonderful displays of tropical flowers and lush gardens. The Royal Saskatchewan Museum makes learning fun for any age, the Science Center and IMAX are a blast for young and young at heart and the RCMP Heritage Centre will take you back in time. If it’s arts and culture you’re after, don’t miss the McKenzie Art Gallery with its ever changing displays and exhibits. The Globe Theatre, located downtown, offers incredible live plays all year round. Regina’s 13th Ave Cathedral area is a delightful area which is home to many independent businesses, excellent restaurants and cafes and the beautiful Cathedral. The neighborhood is beautiful to walk through in any season and if you stray south off 13th, the historical houses, many of which are over a hundred years old, will take your breath away. The Legislature Building is popular in any season and often holds tours. If you visit in the summer the gardens outside are incredible. Wascana Park and surrounding area boast beautiful walking paths around a quaint lake. The Government House and Hotel Saskatchewan are two other beautiful, historical spots. The downtown area of Regina is home to great shopping and superb dining. Victoria Park is a can’t miss and is also the location of the Regina Folk Festival, held in August. Toted as Saskatchewan’s Great Lake, Lake Diefenbaker has everything you need for the perfect getaway. The KCRA Rodeo, offered in July is always a huge attraction. Many people head to Diefenbaker to fish for monsters. Two record breaking trout, a burbot and a walleye have been caught on the lake. The lake itself is massive with almost five hundred miles of shoreline. Watersports like tubing, waterskiing and wakeboarding are always popular. Whether it’s relaxing on the beach, swimming in the cool waters or enjoying an afternoon out on the boat, Diefenbaker is sure to keep you entertained. There are three provincial campgrounds located on Lake Diefenbaker. All offer superb camping. 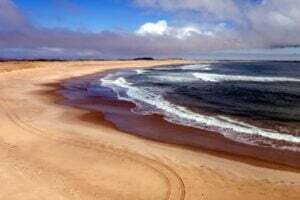 The Douglas Provincial Park even features sand dunes which can be accessed by hiking trails. Saskatchewan Landing offers many activities including a beautiful, eighteen hole golf course and an equestrian campground. Danielson Provincial Park is located by Gardiner Dam. You can see the dam and learn more about it at the visitor centre. If you don’t have a boat, Gardiner Dam offers world class fishing from shore. Northern Saskatchewan has long been a well-known hot spot for amazing fishing action. Northern lakes are toted for their beauty, cold, clear waters and monstrous, trophy size fish that inhabit their depths. For an off the beaten path weekend getaway idea, try the Churchill River Voyageur Lodge. Located on the Churchill River on the Potter Rapids, the lodge offers flights out of La Ronge and has some amazing package deals so you can experience Northern Saskatchewan at its finest. You’ll get to stay in a quaint cabin and your guide, boats, gas and shore lunch are included in some packages. If you’ve never tried a fishing lodge before, you won’t be disappointed. Even if you’re not a master angler or don’t think this is right for you, you’ll soon be swept up in the natural beauty and the fishing fever when you pull a trophy Northern Pike from the rushing waters. This rustic getaway is sure to be one that you’ll remember for ages to come. Slim’s Cabins are also located on the Churchill River and offer some excellent hunting and fishing packages. If you would like to try a fishing lodge and exploring the beauty of Northern Saskatchewan but have doubts about a fly in lodge, try Besnard Lake Lodge. It’s a beautiful lodge located on Besnard Lake in the Northern part of the province. You can drive right up and best of all, it’s very affordable. With great camping options that extend into the fall, beautiful scenery, cool waters and a ton of activities to keep you constantly on the go, it’s easy to see why Moose Mountain is one of Saskatchewan’s favorite provincial parks. Head down to the beach for a relaxing day soaking up the sun and splashing in the cool waters of Kenosee Lake. The Visitor Centre and Artist Colony, located in a beautiful stone heritage building, are only a short distance from the beach. Kenosee Lake is perfect for boating. If you don’t have your own, no problem. You can rent a canoe or kayak. A recreation hall located near the beach sports tennis courts and a basketball hoop for sports lovers. There is also mini golf and a full size golf course. Of course you can’t miss the Kenosee Superslides, the massive outdoor water park that comes complete with a lazy river, tube slides and a huge drop slide that will take you down an eight story free fall in under three seconds. Horseback riding is always a popular option and if you feel like exploring, Cannington Manor Provincial Park is located twenty-six kilometers away. You’ll feel like you’ve stepped back in time as you enter the recreated 1880’s village which comes complete with costumed actors. For a romantic and nostalgic night under the stars, don’t miss the Prairie Dog Drive-In located just south of the park by Carlyle. Located in the Qu’Appelle Valley, Katepwa Point might be a small park but it is one of the nicest in the area. The beach and sprawling green lawn are always well cared for and make the perfect spot for picnics, relaxing and swimming. Across the lake a beautiful campground offers everything you need to make your weekend experience the perfect one. For sports enthusiasts, mini golf and two full size golf courses are available. You can also rent a canoe, kayak, paddleboat or even a fishing boat to try your hand at angling or just paddle the serene waters and enjoy the breathtaking scenery. The nature and hiking trails are perfect for birdwatching and wild life sightings. If you’re in the area you might also want to check out the Echo Valley Provincial Park located nearby. The park offers access to two beaches and two lakes as well as many other nature trails. Echo Valley is open year round. Be sure to check out Fort Qu’Appelle as well as the town offers exciting programs throughout the year as well as some great dining options.